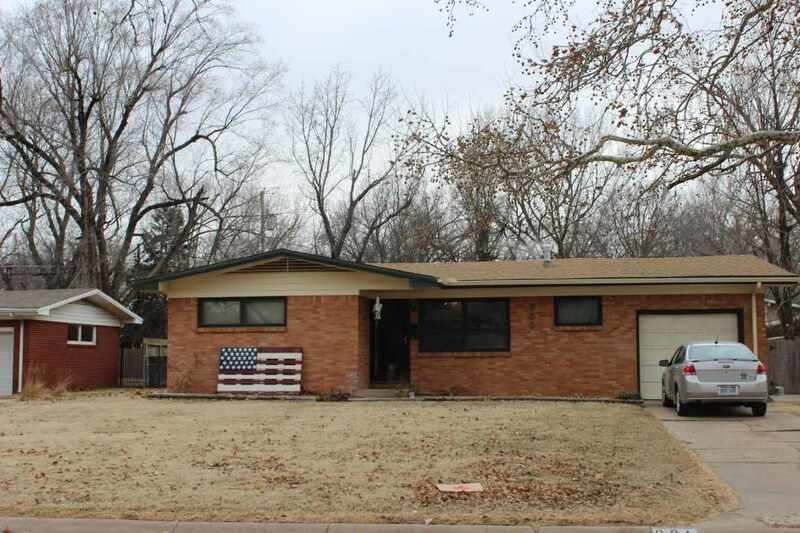 This 3 BR 1.5 BA home has lots of living space! This home has been updated by opening up the living room making it a large room! Family room is another large room, with a fireplace that opens up to a large back yard. Perfect house for a family or even someone needing everything on one level. Close to schools, shopping and highways making it easy to get anywhere in town. This is one you definitely want to come take a look at! Updates made within the last 4 years include:new sewer line, Roof, Furnace/AC, Dishwasher (Apt. Size) Electric Stove/Oven, Microwave, Additional kitchen cabinets, Hot water heater, Main Breaker Box, Pella glass screen door, lighting in front room are a few of the updates. Real Hardwood floors under the newer dark wood floors if you want original wood flooring. Come take a look!